This is the first post in my History Through Hollywood series. Check out the other entries on Vice, Fashion, Love, Telephones, Ads, those pseudo-British accents, and Paramount’s grand experiment in Paris to learn more! The women are swathed in enormous coats made of animal pelts, and on special evenings, the men wear tall, cylindrical hats with a small brim running all the way around. Both genders in this culture seem to enjoy sucking on a paper tube filled with tobacco and lit on fire. The lighting ceremony of these smoking cylinders can play a crucial role in the mating ritual. So we aren’t quite that removed from what we see in movies made before 1960 or so, but occasionally something appears onscreen that can seem completely unfamiliar and confusingly strange. 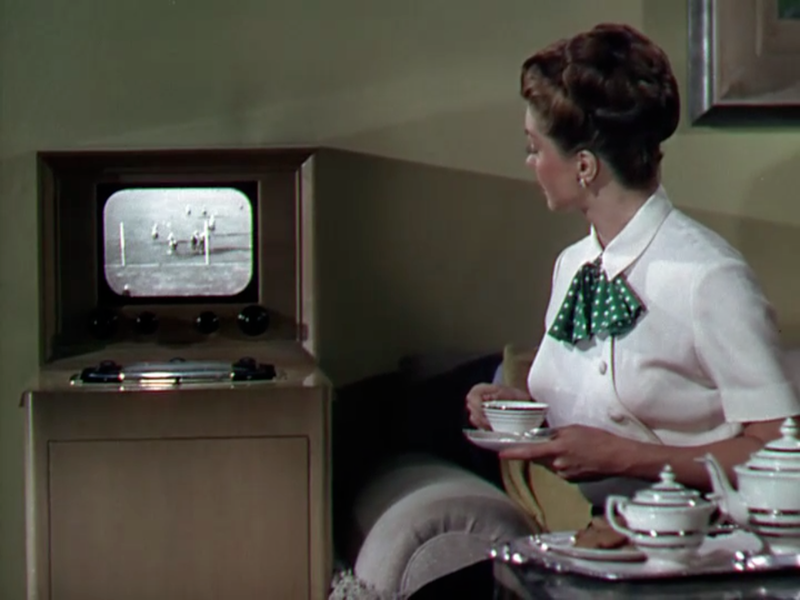 Married couples sleeping in twin beds, frequent six-week trips to Reno, and restaurants walled with vending machines are certainly not common today, though you’ll come across them frequently in old movies. What might seem weird to me made perfect sense to my grandparents, and it’s this disconnect that fascinates me, this status of classic movies as accidental time capsules. If you want to know how people lived, or, more accurately, how Hollywood thought people aspired to live, then pop in a classic film. The cars, architecture, fashion, language, and customs are all there, preserved in celluloid like insects in amber. Neptune’s Daughter (1949). Famous as one of the first times a character watches TV in a movie. 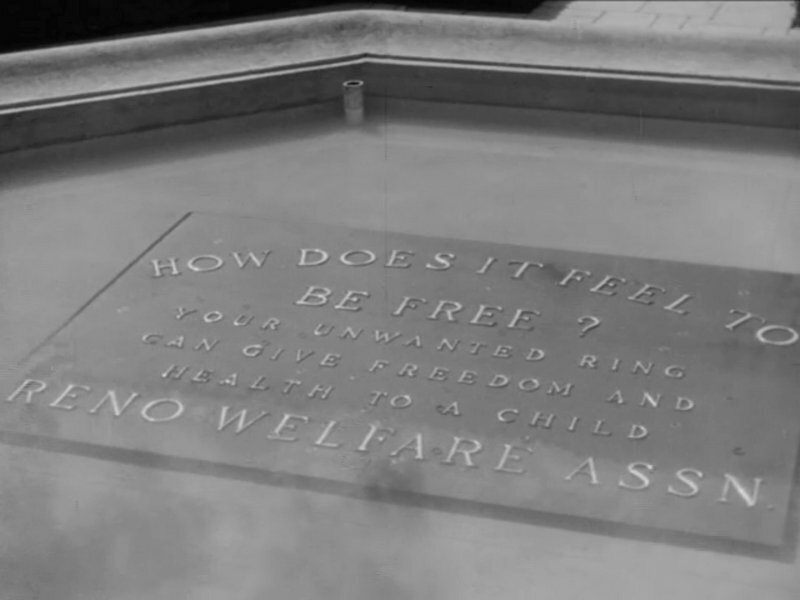 The history hiding in plain sight is one reason why I love old movies so much. I’m definitely not saying that classic films are only interesting as historical relics—they remain as delightful and entertaining now as they did when they were released. And I’m not talking about historical films. Hollywood is notoriously slippery when it comes to portraying history accurately, especially in the classical era. It’s not that the filmmakers were ignorant; it’s that they weren’t trying to make a historically “correct” movie–accuracy and verisimilitude were low on the list of priorities. So don’t watch The Harvey Girls or Calamity Jane to get a sense of the Old West, Lloyd’s of London for a history of the Napoleonic Wars, or Captain Blood for a true account of the Glorious Revolution. Hollywood is far more trustworthy when it is reproducing the contemporary moment (with improvements and dream fulfillment, of course). The films set in the present become inadvertent time capsules, and if you watch old films, you’ll learn a lot without meaning to, and usually without even noticing. You’ll encounter things you may not have learned in your American history courses, or read about in a book. Some of it is quotidian, and some of it is grand; some of it is shocking, and some of it slides right by. But it’s all there flashing across the screen in smoky black and white or glorious Technicolor. Of course, it’s not all cute tidbits or interesting facts. Often an old movie makes me cringe and thank my lucky stars that some things have changed. The implicit and often explicit racism, sexism, xenophobia, homophobia, and other “-isms” and “-phobias” can be incredibly disturbing. Positive, progressive depictions of black, Hispanic, Native American, Asian, or homosexual characters are few and far between. My purpose in writing these essays is not to claim everything was better back then, or express a wish to return to the “good old days;” there is no such thing. I’m not claiming the world presented in old movies is perfect, but it’s not productive nor wise to throw our ugly history away, even when it is problematic and shameful. Norms change and cultural mores shift. What was shocking to one generation is commonplace to the next, and what was once accepted or even inevitable can change. You can see it all happening on screen. So try an old movie. You just might learn something. Now to the five things I learned from classic movies, some serious, some not so much. It wasn’t a “metrosexual” thing or a gimmick, either. It was normal, like getting a haircut, at least in the 1930s. Men getting manis doesn’t turn up that frequently, but the 1935 film Hands Across the Table revolves around a female manicurist, played by Carole Lombard, and her male clientele. She works in a swanky hotel, and the salon in the lobby is full of businessmen getting their nails shaped, trimmed, and buffed between haircuts and shaves. One of her clients even requests in-home service, so she packs up her supplies and visits his penthouse. He falls in love with her, of course, and starts messing up his nails on purpose by digging them into the dirt in his flowerpots just to give her a reason to visit. Lombard bungles Fred MacMurray’s manicure rather badly because he makes her nervous. And part of Jack Carson’s typical studio grooming routine in It’s a Great Feeling (1949) includes a manicure. As does Humphrey Bogart‘s Nazi-hunting gangster in All Through the Night (1942). And Cary Grant got a touchup on the set of The Philadelphia Story (1941)! If you want a divorce, head to Reno. Until the 1960s, divorces could be extremely difficult to get. Some states’ laws required ridiculously clear evidence of infidelity or cruelty, and without such proof, an unhappy spouse was stuck in the marriage. And even after going through the difficulty of filing, sometimes it would take a year or more for the divorce to be final. But the laws in Nevada were different. You could choose from nine different grounds for divorce, none of which required proof. And as long as one of the spouses had been a resident of the state for six weeks, there was no waiting period. A judge could dissolve the marriage in a matter of minutes. So husbands and wives, but mainly wives, who wanted out of their marriages began to flock to Reno to take advantage of the divorce laws. And Nevada liked it that way. The state had originally required a six-month residency, then dropped it to three-months in the 1920s. The legislators then reduced it even further to just six weeks in 1931, hoping to entice more unhappy spouses to the state during the Great Depression. 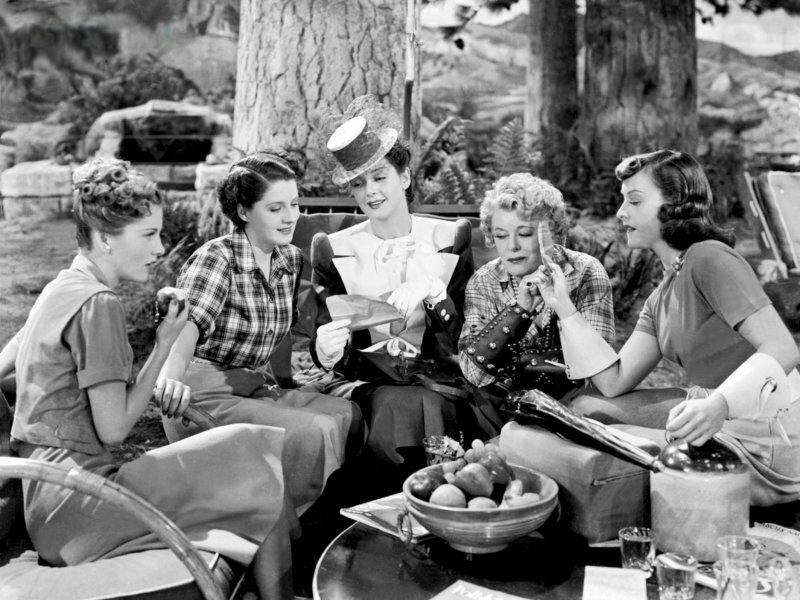 Probably the most famous movie dealing with Reno divorces is The Women (1939), which contains an extended sequence set on one of the divorce ranches. But there are many other trips to Reno in other films, so much so that it is a familiar plotline, and “going to Reno” is shorthand for getting a divorce. Up until the 1960s when other states began to relax their divorce laws, a six-week stay in Nevada was the easiest way to legally end a marriage. To read more, visit these articles at Slate and Collector’s Weekly. They were basically restaurant-sized vending machines without waiters. They had walls of small compartments faced with glass doors that were operated by tokens or coins. After exchanging your cash for the token of choice, you could walk around the room and piece together a meal from the various compartments. Insert your token, turn the knob, and the glass door would spring open, enabling you to take your piece of pie, fruit salad, or sandwich. Hot coffee and other beverages were dispensed from chrome nozzles; the largest Automat company, Horn and Hardart, became famous for their coffee. Behind the walls of compartments there was a frenzy of activity as cooks whipped up victuals in the kitchen and the staff hurried to replenish each compartment after a customer emptied it. 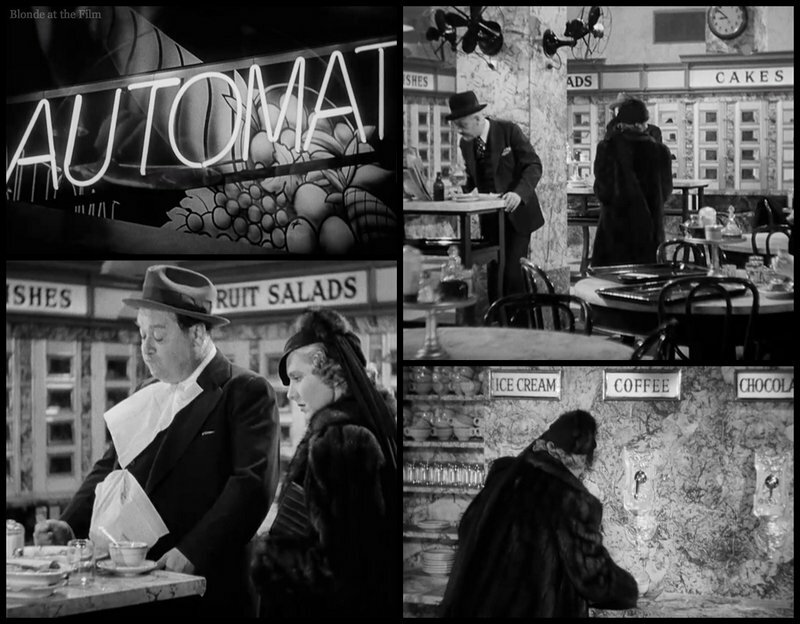 You can watch it all in Easy Living (1937) and in That Touch of Mink (1962), though automats are referenced in many other movies. Easy Living remains my favorite time-capsule of the automat craze. Besotted Ray Milland loses his job when he manipulates the system to give Jean Arthur free food. Then he accidentally falls into the pulleys that operate the compartments, sending each little glass door springing open and turning the beverage spigots to “on .” Customers cause a riot as they rush for the free food! To read more about automats, visit this great article in the Smithsonian Magazine. Everyone in the Navy can dance. If you’ve ever seen a musical, chances are you’ve seen a fabulously talented sailor cutting a rug. Gene Kelly and Fred Astaire donned sailor suits in Follow the Fleet (1936), Anchors Aweigh (1945), and On the Town (1949), among others. The Navy backs up Eleanor Powell in Born to Dance (1936), provides the wild finale of Hit The Deck (1955), and causes a commotion with a conga line in My Sister Eileen (1942 and 1955). If a man is in a sailor suit, he is probably a great dancer. Everybody dances, and they sure seem to love it. Everyone knew how to dance, a least a little, and it was a crucial stage in the courtship ritual. But when was the last time you whirled around the floor after dinner? It seems so old-fashioned now, but good luck finding a musical, comedy, or romance without a waltz or a fox trot. I do wish we still had such a lively terpsichorean tradition. It looks like fun. In other installments of History Through Hollywood, I’ll tackle fashion, love and courtship, vices, language, crime, advertisements, and the lies Old Hollywood told me. Here’s a hint: life is not a Preston Sturges film, damn it. And train travel is not what it used to be. As always, thanks for reading! For more, follow me on Twitter, tumblr, Pinterest, Instagram at BlondeAtTheFilm and Facebook. And check out my other History Through Hollywood posts! Great article. I say bring back the automat! Thank you! I must agree! I really enjoyed this post, Cameron. Great job explaining the appeal of the old movies, “slices of time” they’ve been called. For anyone who enjoys history and learning from the past, they are treasures. For me, I’m always trying to get a glimpse at how my parents, grandparent and even great-grandparents lived, and the movies are the best way we have of doing that. Thanks, Bruce! I love the “slices of time” description! I agree, I think it’s amazing to have that glimpse into life as it was lived just a few generations ago! I was sitting in class the other day thinking about this same topic. I’ve learned so much from watching these films, and it’s just so matter-of-fact because, well, that was the present for them. I love explaining how things were back then to people who had no idea that nightclubs were swanky places for (rather traditional) dancing, or that EVERYBODY smoked, or how every woman wore stockings, gloves, and a hat before she left the house. 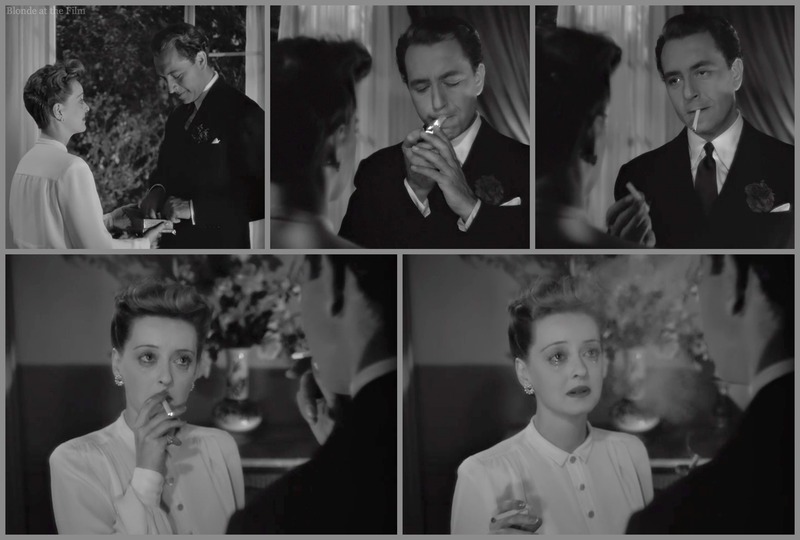 All of this stuff always makes me yearn to live during those times–except the smoking, obviously. Absolutely! I could not agree more. It’s funny how the things that they took for granted can seem so foreign to us today…and of course, vice versa! I’m excited to talk about fashion, and of course the smoking! And I get really protective, too. I hate it when people dismiss these movies because they are “old-fashioned” or seem “irrelevant.” Sometimes a little context can go a long way! Thanks for this comment, Michaela! Ooh! Loved loved loved this! Looking forward to the next installments and I, too, vote to bring back the Automat! Love this series! Thanks for sharing the men get manicures tidbit – I was totally unaware of that Lombard film. What an interesting take on gender, totally subverting so much of what was considered masculine during the era. Thank you! I know, the first time I saw Hands Across The Table I was very surprised! I’m glad you like this series! Wonderful Essay! Wish I’d written it! Hey, maybe I will, ’cause you know what they say, “Imitation is the sincerest form of flattery.” TOTES J.K., as my kids would say. Entertaining and insightful. Film students, or anyone interested in History and Culture, should read it.